One of the things I must love the most are body scrubs. There are so many different types to choose from with countless numbers of scents that leave you feeling awake, refreshed and glowing. After my post on my favourite face masks I figured I could also make one on my best body scrubs. Olive oil is what I mostly use as it is the most moisturising oils, and many people even use it as body oil. 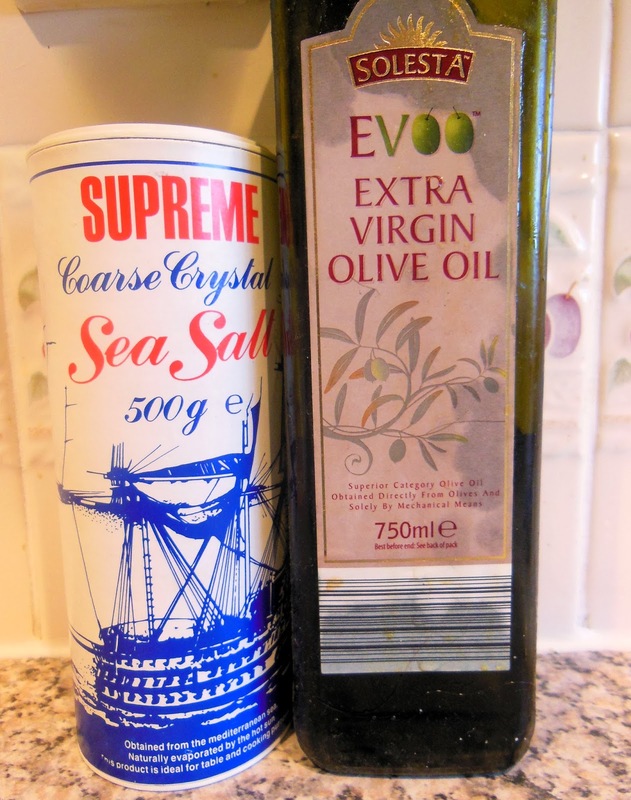 Basic scrub: Ingredients- 3 tbsp of sugar or sea salt and 1 tsbp of olive oil and 5 drops of flavouring of choice. My favourite would be to add vanilla or an essential oil for relaxing benefits. Mixed scrub: Ingredients- 4 tbsp Sea salt, 2 tbsp salt, 5 tbsp sunflower oil, 3 tbsp olive oil, 25 drops flavouring. This has mixed oils and salt as it can be easier to use and wash off. Vanilla sugar scrub: Ingredients- 200g sugar, 60ml olive oil, 1tbsp vanilla extract. Sugar is nicer on skin than salt, so I suggest you use this if you have sensitive skin. Toning Cocoa scrub: Ingredients- 3 tsp cocoa powder, 2 tsp salt, 2 tsp sea salt, 2 tsp of bicarbonate and 4 tsp of any vegetable oil. Mix well and then add some water. When you use it leave it on for a few minutes and then wash off. This not only smells lovely but also leaves you totally moisturised, also giving your skin a nice glow for the rest of the day. Pre-epilation Strong Scrub: Ingredients-¼ of lemon and orange, 2 tbp sea salt, 1 tbp bicarbonate, 1 tbsp honey and a bit of vegetable oil. Get the lemon and orange juice, pulp and skin. Add the rest of the ingredients and mix well. The acid in the lemons and oranges also add to the exfoliating effect, perfect for removing ingrowing hairs. Remember to use them in circular motions to prompt blood circulation and to renew the grey, dull skin at best. What is your favourite scrub? Comment below!